Why should you struggle to understand the new healthcare laws when we can help you secure quality insurance at a competitive price? Whether you’re retired, self-employed, in between jobs or in need of insurance coverage, we have a plan that is right for you as an individual or business of any size. While developing a customized financial program just for you and your beneficiaries, we walk you through a step-by-step process helping you gain knowledge in your financial alternatives. We can then help you implement a detailed investment strategy tailored to your personal situation. As a core service, we help our valued family business clients understand and solve continuation issues. We work in conjunction with Estate Attorneys to benefit our clients. 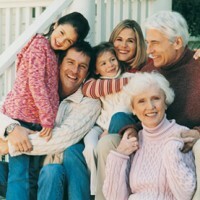 We utilize a full sprectum of life insurance options to provide for the ones you care for most. Last Updated Thursday, April 18, 2019 - 03:15 AM.